The Cabinet Committee on Economic Affairs, chaired by the Prime Minister Shri Narendra Modi, has given its approval for offering attractive VRS / VSS packages at 2007 pay scales to mitigate the hardships being faced by the employees of HMT Watches Ltd., HMT Chinar Watches Ltd. and HMT Bearings Ltd. and close their operations. The movable and immovable assets of the companies will be disposed of as per the Govt. policy. With a cash assistance of Rs. 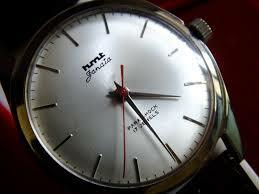 427.48 crore, the three loss making subsidiaries of HMT Ltd. namely HMT Watches Ltd,, HMT Chinar Watches Ltd., HMT Bearings Ltd., will attain closure after separation of about a thousand employees through attractive VRS /VSS and settlement of their dues. There are 31 CPSEs under the Department of Heavy Industry engaged in manufacturing, consultancy and contracting services. Out of these, 12 are making profits. The remaining 19 CPSEs are incurring losses. The Department of Heavy Industry has been undertaking appraisals of each loss making CPSE to assess the prospects of revival. As a part of this exercise, the loss making CPSEs having the potential of turn around are revived and those found chronically sick are disinvested or closed down after payment of due compensation to employees.